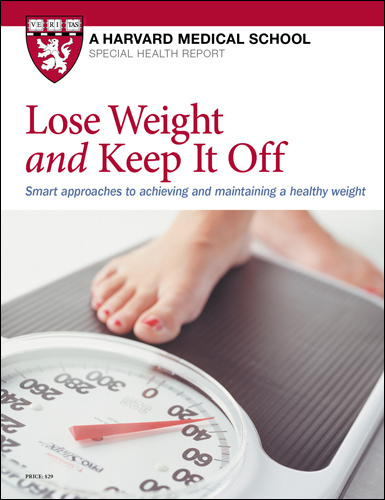 Scores of weight-loss diets have been in the limelight over the years. But relatively few have been carefully studied. They include very low-fat diets (see below), such as the Ornish and Pritikin diets; low-carbohydrate diets, such as Atkins and South Beach; and the Mediterranean diet, which has the added bonus of conferring a number of potential health benefits. What do the data say about the effectiveness of diets and how can you use that information to choose a weight loss approach that will work for you? The reality is that when it comes to shedding pounds, the key is cutting calories — and it doesn't really matter whether those calories come mainly from steak, bread, or vegetables. A study led by Harvard researchers published in 2009 in The New England Journal of Medicine compared four different low-calorie diets (high fat, high protein; high fat, average protein; low fat, high protein; and low fat, average protein) in 811 overweight adults. Although all the participants lost an average of about 13 pounds in the first six months (about 7% of their initial weight), they started to regain at the one-year mark. After two years, average weight loss was the same in all groups. An earlier study in The Journal of the American Medical Association suggested that it's whether you stick with whatever diet you choose that makes the difference. In this study, overweight and obese adults were assigned to follow the Atkins diet, the Ornish diet, Weight Watchers, or the "Zone" diet. After one year, nearly half of the participants had dropped out of the study. But those who didn't lost similar amounts of weight (about 5 to 7 pounds each, on average). People assigned to the Atkins and Ornish diets were more likely to drop out of the study, suggesting that many people found these plans too extreme. But for certain people, the structure of a restricted plan may be helpful. Note that diets that are less than 45% carbohydrate or more than 35% protein are hard to follow, and they're no more effective than other diets. In addition to possibly increasing the risk of heart disease, diets with very low carbohydrate levels may have a negative effect on mood, according to several studies. The take-home lesson is that it is okay to experiment on yourself. If you give a diet your best shot and it doesn't work, maybe it wasn't the right one for you, your metabolism, or your situation. Don't get too discouraged or beat yourself up because a diet that "worked for everybody" didn't pay off for you. Try another. Once the main strategy for losing weight, low-fat diets were shoved aside by the low-carb frenzy. But healthy fats can actually promote weight loss, and some fats are good for the heart; eliminating them from the diet can cause problems. Since fat contains 9 calories per gram while carbohydrates contain 4, you can theoretically double your food intake without taking in more calories by cutting back on fatty foods and eating more that are full of carbohydrates, especially water-rich fruits and vegetables. Still, such a diet tends to be less filling and flavorful than other diets, which lessens its long-term appeal. The low-carb eating strategy is based on the biological fact that eating carbohydrates raises blood sugar levels, which triggers an outpouring of insulin from the pancreas. The theory goes a step further, claiming that high insulin levels produce hunger, so people who eat carbohydrates take in more calories and gain weight. Low-carbohydrate diets tend to cause dehydration. To make up for the lack of carbohydrates in the diet, the body mobilizes its own carbohydrate stores from liver and muscle tissue. In the process, the body also mobilizes water, meaning that the pounds shed are water weight. The result is rapid weight loss, but after a few months, weight loss tends to slow and reverse, just as happens with other diets. The American Heart Association cautions people against the Atkins diet, because it is too high in saturated fat and protein, which can be hard on the heart, kidneys, and bones. The lack of fruits and vegetables is also worrisome, because eating these foods tends to lower the risk of stroke, dementia, and certain cancers. Most experts believe South Beach and other, less restrictive low-carbohydrate diets offer a more reasonable approach. Mediterranean-style diets emphasize good fats and "good" carbs. Saturated fat, trans fat, and cholesterol are the bad guys. Good fats are monounsaturated (found in olive oil, for example) and polyunsaturated (found in such foods as fish, canola oil, and walnuts). Mediterranean diets tend to have a moderate amount of fat, but much of it comes from healthful monounsaturated fats and unsaturated omega-3 fats. It is high in carbohydrates, but most of the carbs come from unrefined, fiber-rich foods. It is also high in fruits and vegetables, nuts, seeds, and fish, with only modest amounts of meat and cheese. People living in Mediterranean countries have a lower-than-expected rate of heart disease. But the traditional lifestyle in the region also includes lots of physical activity, regular meal patterns, wine, and good social support. It's hard to know what relative role these different factors play — but there is growing evidence that in and of itself, the diet can reduce cardiovascular risk and the development of diabetes.